The good people at Marx Foods recently provided us with free samples of three exotic Japanese juices: Yuzu, Kabosu, and Sudachi. While we were familiar with Yuzu by name only, neither Nicky nor I had either heard of the other two juices. Loving a good challenge, we took our bottles of Japanese juices to the lab and got to work. Before we did any reading up on these mysterious liquids, we wanted to do a blind tasting just to see how they hit us. Each of the three juices is citrus in nature, but tend to lean toward the bitter side. Perfect for our cocktail needs! The Kabosu was the easiest to swallow. The citrus flavor was a cross between orange and sharp lemon but without the sweet edge. The actual fruit looks very much like a lemon, but has a slight more orange aroma. The lingering flavor is a bit herbal, like a basil taste, perhaps. It is a strong, clean taste. Yuzu came across as more complex. It looks similar to the Kabosu, but the fruit actually has less juice. The flavor is very distinct. There was the sharp, tartness of lemon, but overtones of grapefruit and Manderine orange. Again, without the sweetness. Fresh, tangy, and lots of layers of flavor. And then there was the Sudachi. I’m just going to say right now that this is a juice to be revisited later this week. For some reason, the initial aroma was just too overpowering for me to handle on that particular day in the lab. (No, there was no hangover involved.) Nicky also had a strong reaction, so we agreed to set this one aside and devote some special quality one-on-one time with Sudachi juice. In theory you should taste lime, pepper, cumin. We shall give this juice another shot soon. The tart orange-lemon flavor of the Kabosu Juice seemed like it was just longing to be paired with some spicy ginger. We infused Prairie Vodka with freshly-grated ginger, then continued our pursuit of the tingling, burning sensation of ginger. Some Stirrings Ginger Liqueur and spicy, bitter Amara Cora helped move the flavor along. The result was a sort of Japanese lemonade with a gingery bite. The orange bitters enhanced the orange tones of the Kabosu while providing a more complex overall taste. The unique tart citrus of the Kabosu played very well with the ginger. Place all ingredients in an iced cocktail shaker. Shake and strain over ice in a Collins glass. Garnish with lemon peel. Faced with the need of a good dry martini and a brand new bottle of Bison Grass Vodka, we thought this would be another good option for Kabosu. The Bison Grass Vodka has a slight, sweet grassy edge to it that married well with the Kabosu! The martini begins smooth and dry, with a slight hint of sweet that blends into the wonderful layers of the Kabosu citrus. The lingering after-taste is just delightful! 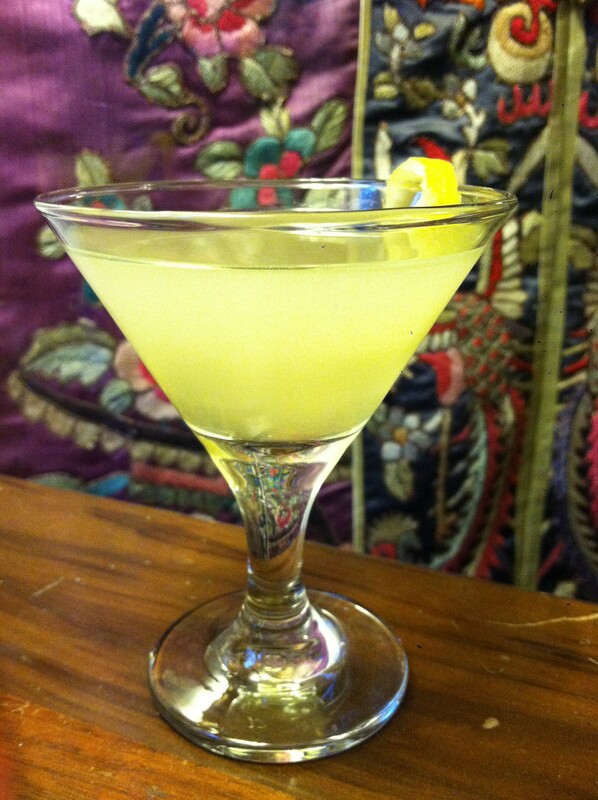 A dry and well-balanced martini. Place all ingredients in an iced cocktail shaker. Shake, strain and pour into a martini glass. Garnish with a lemon twist. For a while now, Nicky has been slightly obsessed about candied lemon peels dipped in chocolate. Specifically, how to “drink” the treat. The tart and tangy Yuzu is a great way to achieve the citrus angle. The sweetness of the Pisco provides the candied element. AGWA de Bolivia Coca Leaf liqueur adds a nice herbal, botanical tone. It is recommended that AGWA always be paired with lime. The South American practice of chewing on coca leaves includes beginning with a bite of lime to balance out the PH in the mouth. Amazingly, the Yuzu meets this odd requirement. The texture of the egg white gives the cocktail a fluffy, smooth feel, while the chocolate mole bitters sprinkled on top provide the illusion of spicy chocolate coating. 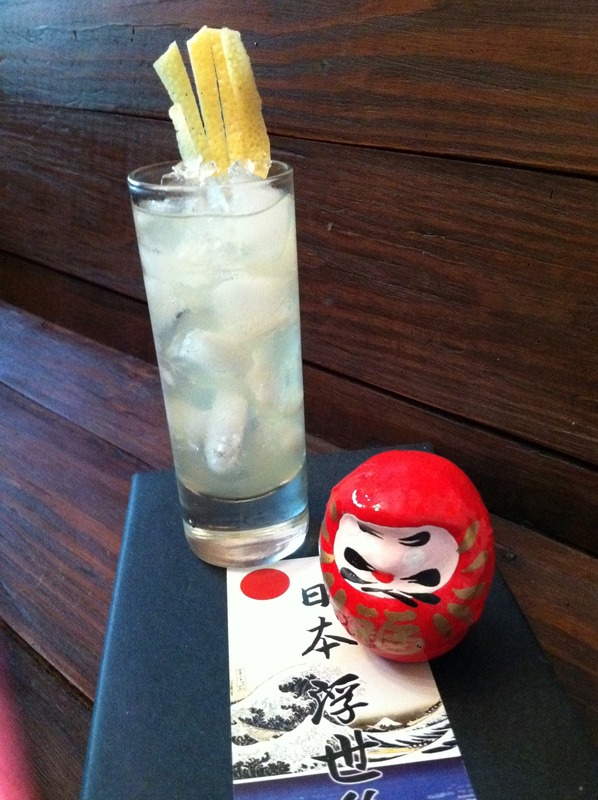 The complexity of the Yuzu adds a great depth to this light cocktail. Place all ingredients in an UN-iced cocktail shaker and shake vigorously for 45 to 60 seconds (for sake of the egg). Then add ice to the shaker and shake again. Strain into a coupe and add a few drops of the bitters on top of the foam. As I was reading about the Yuzu, I came across a mention of the healing properties of this fruit. Evidently in Japan it is a popular custom to bath with Yuzu. The fruit is very aromatic and is floated in the hot bath water, either whole, sliced or enclosed in a cloth bag. The aroma is released and is believed to guard against colds, while relaxing the body and mind. With that in mind, I decided to turn to The Pipette who has been working with salts, aromatherapy and essential oils. She is thrilled with this idea and will be taking part of the Yuzu juice to experiment with bath salts! 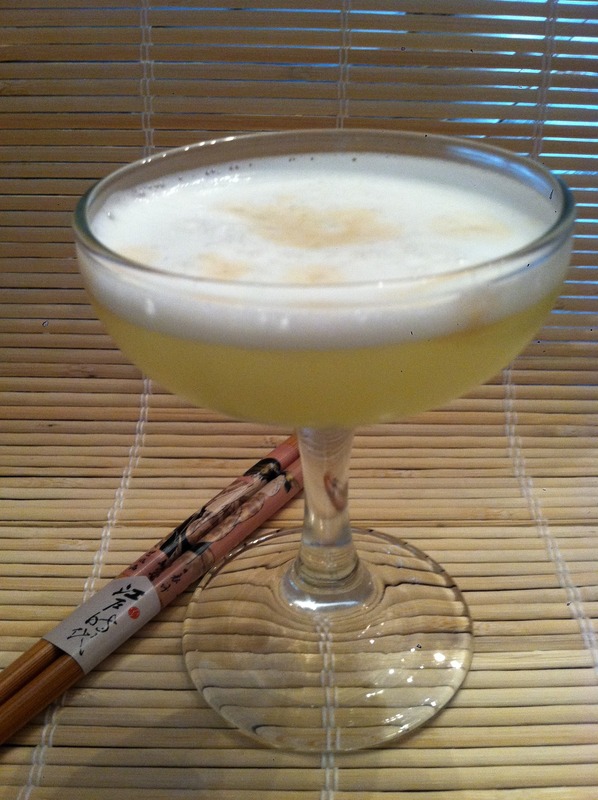 Of course, I’m ecstatic and can’t wait to relax in a hot tub of Yuzu salts while sipping my Pisco Yuzu Sour. Life is good. While we still have to have a showdown with the Sudachi Juice, Nicky and I both enjoyed the unique properties of the Kabuso and Yuzu Juices. Yes, they are easy substitutes for citrus in general, but they are so much more than just that. The complexities of these flavors work so well with what we like in handcrafted cocktails. They are strong flavors, but not overpowering. They add depth and curiousity to standard cocktail recipes and open doors to lots of original creations. It is safe to say that these will find a permenant spot in the lab for future use. 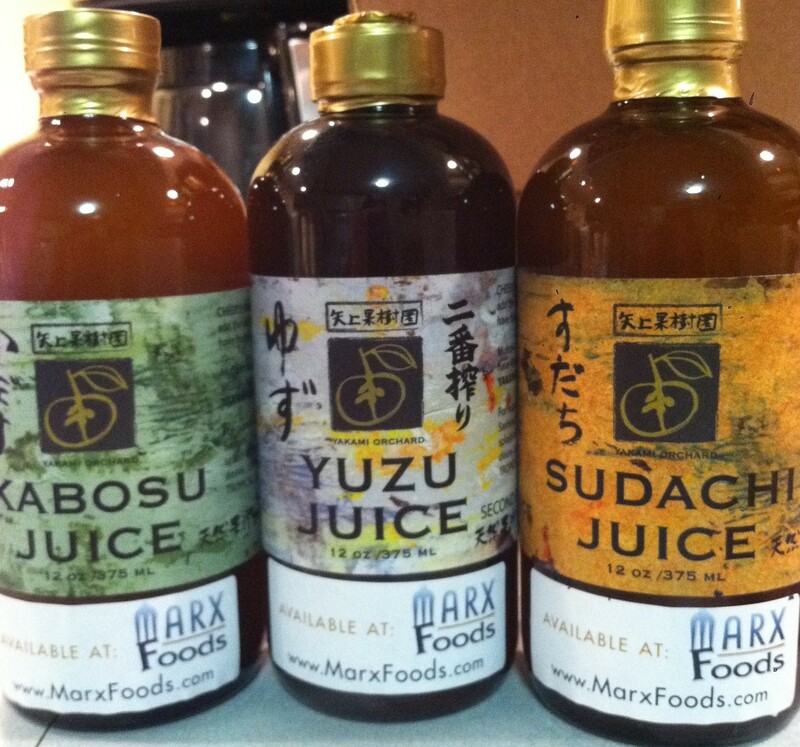 Kabosu, Yuzu and Sudachi juices are all available online at www.marxfoods.com. Thx for the lead on Marx, I’ve been trying to find Yuzu juice. Did you ever revisit the sudachi juice? I’d love to hear your thoughts…. Not yet. We’ve had several cocktail commissions recently that had very specific requirements. However, now that you mention it, I think that might be a great idea for an unconventional holiday cocktail. Thanks for the reminder and we’ll post it if it works out!